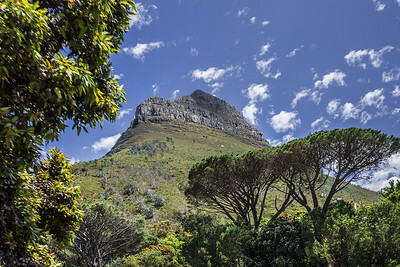 Cape Town, South Africa Table Mountain view from Camps Bay. Wine County, South Africa Vineyards in South Africa's wine country. Citrusdal , South Africa Wine tasting near Citrusdal in northwest South Africa. 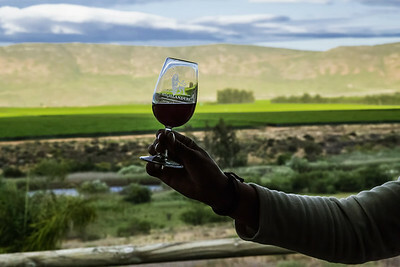 Wine County, South Africa Wine country in northwest South Africa. Wine County, South Africa Sunset over the vineyards. 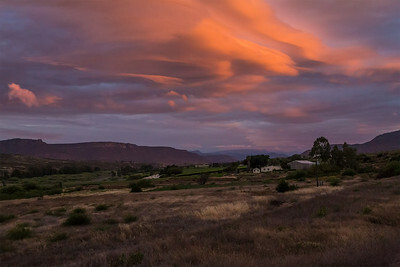 Wine County, South Africa Sunset in wine country. 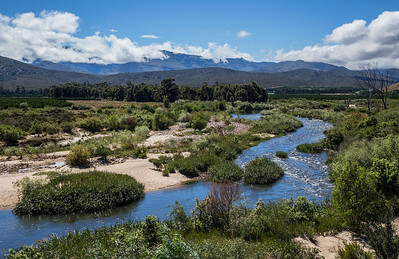 South Africa Scenic view in western South Africa. 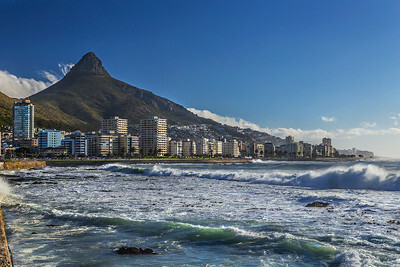 Cape Town, South Africa Mouille Point in Cape Town. 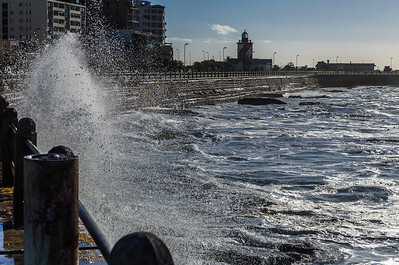 Cape Town, South Africa Strong winds were causing the waves to crash against the sea wall. 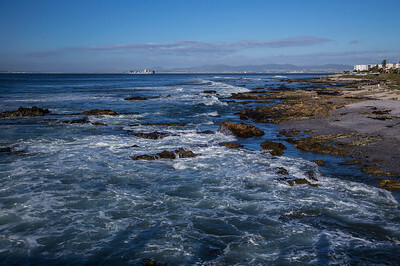 In the background is the Green Point Lighthouse. 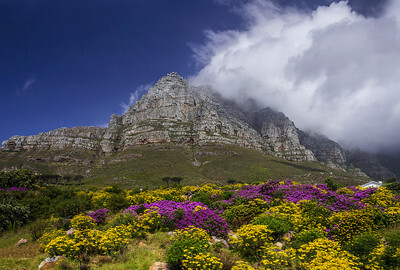 Cape Town, South Africa Table Mountain with a big frilly tablecloth on top. 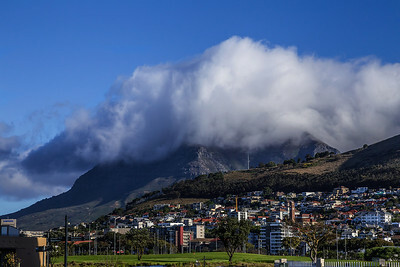 Cape Town, South Africa Lion's Head behind Sea Point. 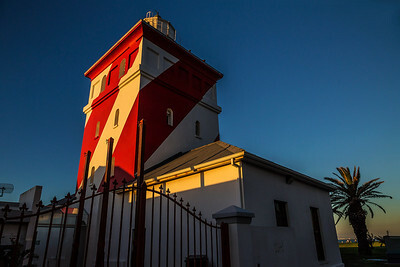 Cape Town, South Africa Cape Town's Green Point Lighthouse, established in 1824, is the oldest lighthouse in South Africa. 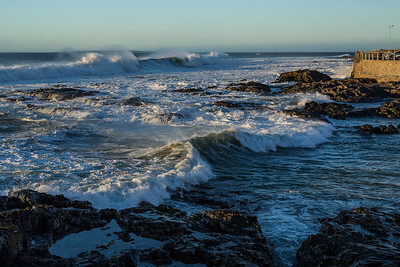 Cape Town, South Africa High waves off the coast of Cape Town. 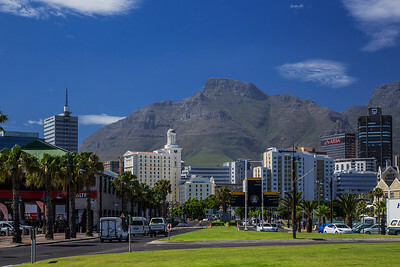 Cape Town, South Africa Downtown Cape Town. 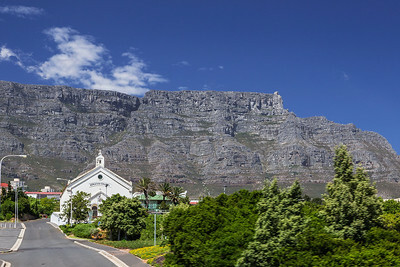 Cape Town, South Africa Table Mountain behind a Moravian Church in Cape Town's infamous District Six where over 60,000 residents were forcibly removed by the apartheid regime in the 1970s. 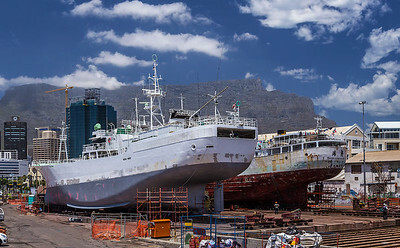 Cape Town, South Africa Ship repair in downtown Cape Town. 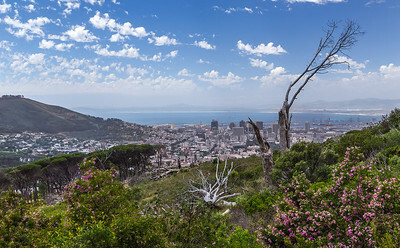 Cape Town, South Africa Cape Town view from the base of Table Mountain. 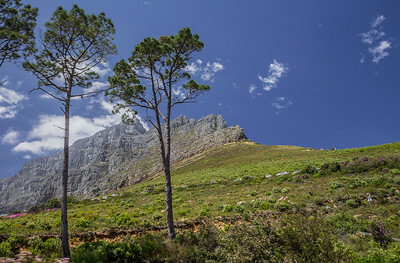 Cape Town, South Africa View of Table Mountain. 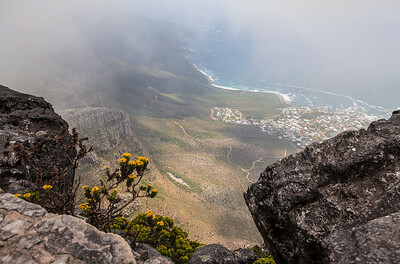 Cape Town, South Africa Lion's Head view from the base of Table Mountain. 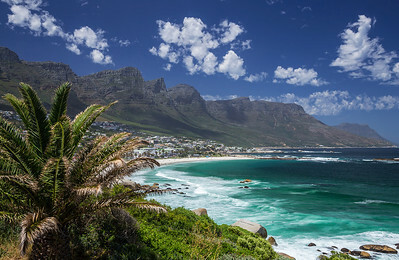 Cape Town, South Africa Camps Bay view from the top of Table Mountain. 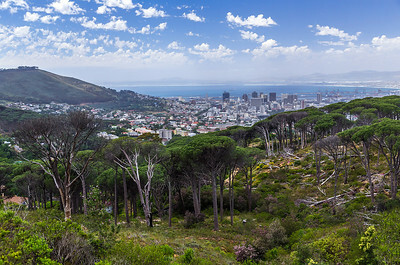 Cape Town, South Africa View towards Cape Town's Camps Bay suburb. 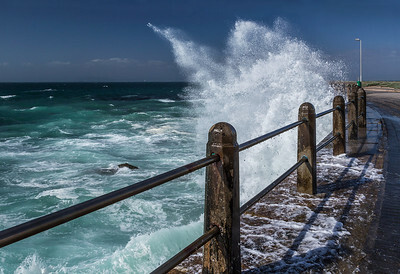 Cape Town, South Africa Waves splashing on the sea wall at Mouille Point in Cape Town. 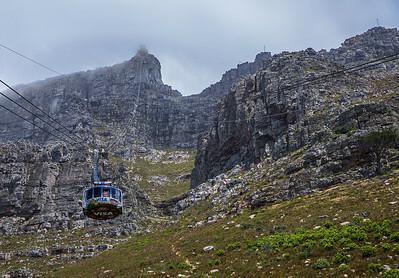 Cape Town, South Africa Cable Car up to Cape Town's Table Mountain.